RuthLily Writes : Books I read in August! : The Yellow Room, What's a Girl Gotta Do?, Lady Susan, Nina is Not OK, Blame. Books I read in August! : The Yellow Room, What's a Girl Gotta Do?, Lady Susan, Nina is Not OK, Blame. After a prolific July full of reading, August was always going to struggle to keep up. But I did manage to read from crrrrackers! I was really looking forward to delving into Jess Vallance's The Yellow Room after enjoying the super creepy Birdy last year. 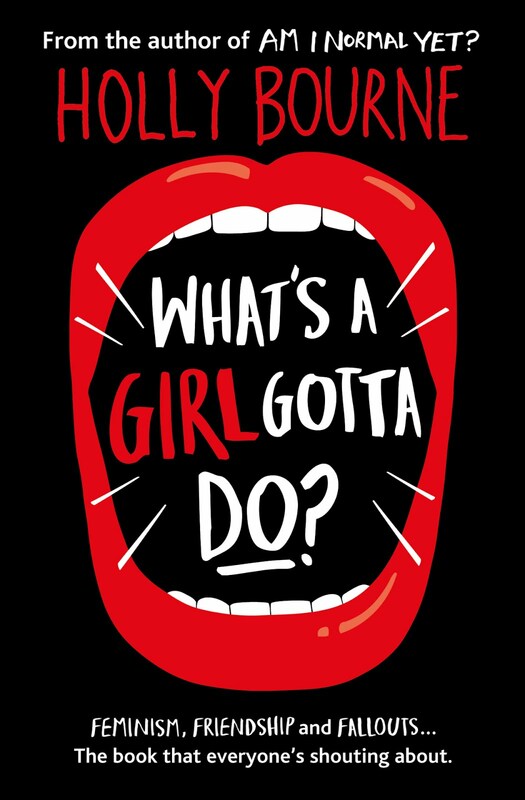 I also read the third in Holly Bourne's Spinster Club trilogy, What's a Girl Gotta Do?, which did not disappoint. I greatly enjoyed a Jane Austen novella, Lady Susan, and my audiobook of the month was Shappi Khorsandi's Nina is Not OK. I can confirm Nina is definitely not OK, and neither am I after listening to her story! Lastly I read Blame by Simon Mayo, which has its very own review here! I read Jess Vallance's Birdy last year, which was a great book and very creepy, so I was very much looking forward to reading The Yellow Room to see how sinister its plot would be. The story follows Anna, a sixteen-year-old, who receives a letter one day from her estranged father's girlfriend, informing her of his death. After meeting Edie, the girlfriend, to discuss her father's death Anna is soon spending more time with Edie than with her school friends, confiding in her secrets that she has not told anyone else. Anna's relationship with the creepy, blackmailing Leon is at the heart of her greatest secret and their fraught encounters are chilling. Anna is struggling to solve her problems by herself and turns to Edie for help, the answers in the end however seem to lie with the mothers. Definitely dark, creepy, and chilling, but with an awareness and respect for mental health and illness. Definite must read. Can't wait to see what Jess Vallance writes next! Part three in the Spinster Club series, this time from Lottie's point of view as she embarks on a major feminist project, calling out every instance of sexism she sees in daily life. Lottie documents the project with the help of film student Will, who does not identify as a feminist and who soon becomes the object of a very confusing crush for Lottie. Evie and Amber are there helping Lottie out of course, but as the project gains traction online and the trolls start getting under her skin, Lottie struggles with motives for putting herself through such a draining experience. Is it keeping quiet and following the rules that will get Lottie into Cambridge, as her parents are insisting, or is it being unapologetically herself and committing to the project. A brilliant conclusion to the Spinster Club series. I'm in denial that this is the last we'll hear of the Spinster Club and hoping and praying they'll be back for more soon! Tip top stuff from Holly Bourne once again. 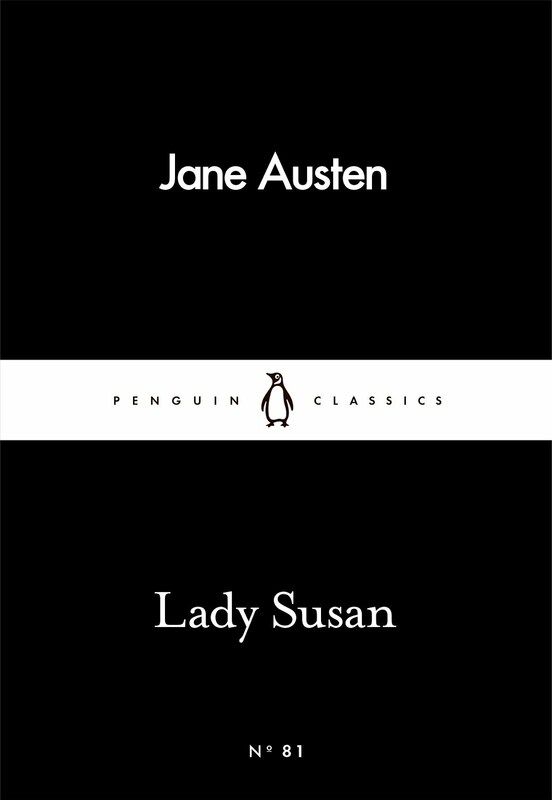 This little Jane Austen novella is part of the Penguin Little Black Classics and a very fun read. A short epistolary novel documenting a colourful cast of characters mostly concerning themselves with the behaviour of a one Lady Susan Vernon, a young widow looking to secure husbands for both herself and her 16-year-old daughter Frederica. It was recently adapted for film by Whit Stillman, starring Kate Beckinsale as Lady Susan and Chloe Sevigny as Mrs Johnson, and definitely captures the fun and humour of the book. I might have to read some more of Jane Austen's juvenilia (new favourite word) as this was a very enjoyable read. 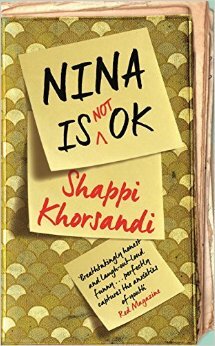 I listened to Nina is Not Ok on audiobook, read by the author Shappi Khorsandi and wow it was an intense experience. 17-year-old Nina is in denial about her drinking problem, but her drunken exploits are becoming more and more dangerous. After her boyfriend Jamie goes off on his gap year and immediately gets a new girlfriend, Nina finds herself struggling to get through a day of college without having a drink. The wrong guys 'help' Nina home after she is thrown out of a club one night and the gap in her memory between leaving the club and finding herself in a cab home with her knickers in her hand soon weighs seriously heavy on her mind. There is this really unsettling mix of funny and light escapades with dark and harrowing trauma as Nina continues to make terrible decisions and spiral out of control, with her mum and step dad really helpfully deciding to move to Germany and leave her in London in the middle of her A Levels year. Poor Nina! Shappi Khorsandi's narration on audiobook was brilliant, and I'd definitely recommend experiencing the book this way, although I think it does up the intense and harrowing factor up by 100. Don't forget to click through to my review of Simon Mayo's Blame here! 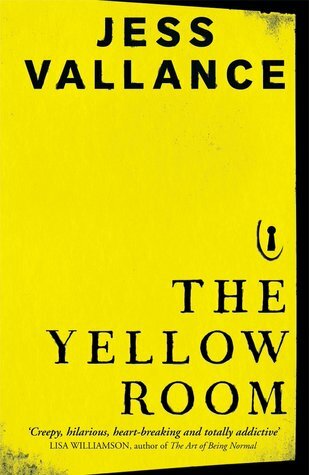 I received a copy of The Yellow Room from Hot Key Books in return for an honest review. All real opinions, promise!